EDMONTON - Alberta Premier Alison Redford is suggesting the province's queue-jumping inquiry may get its requested deadline extension after all. Redford said while she would like the report of the Health Services Preferential Access Inquiry done by April 30, if commission head John Vertes needs more time to complete it properly, then it's proper to give it to him. "He (Vertes) has said that he needs more time to write," Redford told reporters in Calgary on Friday. "It's certainly appropriate to give him the time that he needs to do that." Her comments came a day after Vertes said publicly that Health Minister Fred Horne was infringing on the independence of the commission by refusing to extend the deadline by six months. Vertes said logistical problems and a flurry of late evidence have made it impossible for him to write a comprehensive report by April 30. Vertes asked in January for the extension, but Redford's cabinet voted to say no, and did not given him reasons. Horne said Thursday he'll take the issue back to cabinet a second time. He has declined to say why they said no the first time. Vertes said forcing him to rush his report is a roundabout way of infringing on the independence of his commission. All opposition parties have joined him in condemning Redford's Progressive Conservatives on the issue. But Redford said the opposition wants it both ways. She noted opponents originally characterized the $10-million inquiry as too narrowly focused and of no use. "(Now) the opposition says, 'No, no, this inquiry matters,'" said Redford. "We know why we think this matters. That's why we called (the inquiry). We want to see the results of the report. I'd like to see some consistency from other political parties." Redford also said far that from interfering, her government has gone out of its way to not meddle with Vertes' inquiry. A year ago, Redford ordered the inquiry be set up, but entrusted it to be run at arm's length through the Health Quality Council. "We have not been involved in this inquiry in any way," said Redford. "We have seen other political parties try to direct the chair to call witnesses. We've had no dialogue directly with the chair. We have had no correspondence directly with the chair." Opposition parties have urged the inquiry to examine certain witnesses and issues, but noted it was Vertes himself who urged anyone with information on possible queue-jumping to come forward. 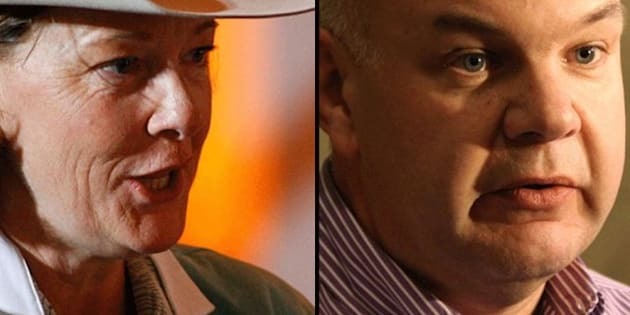 At the request of the Wildrose, the inquiry called health executive Lynn Redford, Redford's sister, to testify after information surfaced Lynn Redford may have knowledge of queue-jumping. Lynn Redford said she didn't, and no evidence has surfaced to suggest she did. The opposition Liberals have urged Vertes call former Alberta doctor Dr. Ciaran McNamee to discuss reports that lung cancer patients died after being queue-jumped on surgery wait lists. McNamee has not been called. The testimony phase of the inquiry wrapped up Thursday. Vertes is to hear final arguments in Edmonton on April 2. Vertes has said any extension won't require more money to the inquiry budget.